In a new article centered on the first-year sales of the Apple Watch, The Wall Street Journal reports that Apple is working on including cellular network connectivity and a faster processor in the so-called Apple Watch 2. There are relatively easy fixes for some concerns. Apple is working on adding cell-network connectivity and a faster processor to its next-generation Watch, according to people familiar with the matter. The addition of standalone cell-network connectivity onto the wrist-worn device could bring some benefits to users, particularly those who are frustrated with the current generation's heavy reliance on a tethered iPhone to provide basic iMessage and phone call functionality. Although such a feature would undoubtedly require an additional data plan, on top of one they might already have for both the iPhone and iPad, benefits like using GPS, making phone calls, and streaming Apple Music without an iPhone nearby could outweigh the cons for some users. The new hints given for the next-generation Apple Watch come on the heels of a collection of rumors that point to the upcoming version of Apple's wearable gaining much-requested independence from the iPhone. Apple began implementing a third-party push for iPhone independency by announcing that all watchOS apps submitted to the App Store after June 1, 2016 will be required to be native applications. Such updates to watchOS, which Apple introduced in watchOS 2, allow the wearable device to open apps more quickly and provide a smoother experience to users, instead of having to transmit data back and forth between a Bluetooth-connected iPhone. The mention of "a faster processor" in today's report is something largely expected from a product update cycle by Apple, but it should compound the company's efforts to introduce an all-around faster UI for the Apple Watch 2. 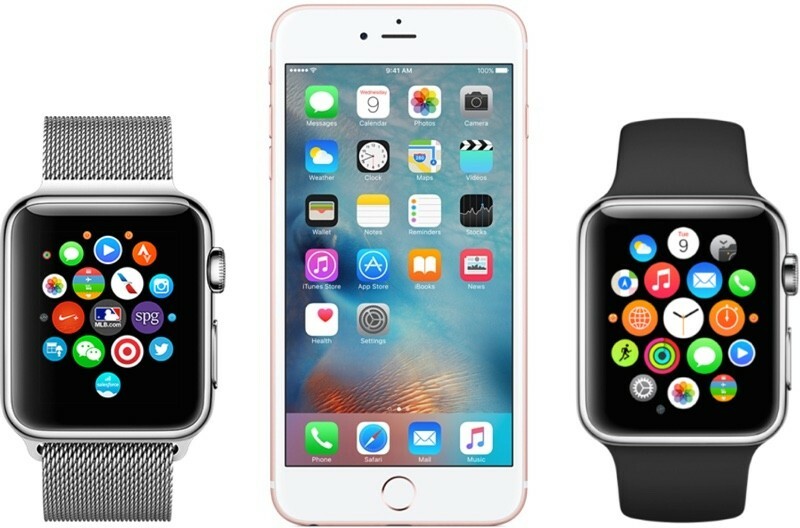 Using speculative analyst analysis, The Wall Street Journal also compared the first year of the Apple Watch to the first year sales run of the iPhone, from 2007 to 2008. The analyst estimate puts Apple Watch sales at 12 million units from its launch on April 24, 2015 to the same day in 2016. That number is double the original iPhone's sales of 6 million units in its first year. The latest rumors for the Apple Watch 2 conflict somewhat in regards to upgrade stats and release dates. One report has suggested that the new wearable will be 40 percent thinner and launch as soon as June, while a more recent research note from KGI Securities analyst Ming-Chi Kuo points to only minor form factor changes and a heavier focus on internal improvements. Kuo predicted the Apple Watch 2 will launch in the fall, alongside the iPhone 7. All these data plans and subscriptions are going to drive me to drink! Bought a Pebble a couple of weeks ago. It does 90% of what the Apple Watch does, costs a fraction and has a battery that lasts a week. And they don't exclude devs from accessing all the features. Nowhere near 90%, and nowhere near as nicely. The analyst estimate puts Apple Watch sales at 12 million units from its launch on April 24, 2015 to the same day in 2016. That number is double the original iPhone's sales of 6 million units in its first year. And yet, in the twisted imagination of forum commenters and pundits, the Apple Watch is a flop. Far from that. It's version 1.0, go have a coffee and imagine v. 4. The battery required for adding a GPS/cellular connection will be the limiting factor. Can't see it happening for a few years yet. They may be working on it, but not yet. Jony Ive probably has a wearable battery pack that is truly stunning to go along with it. A round smartwatch makes as much sense as a round smartphone. I buy 3 on the spot if its round. *All* the features? Like replying to messages? I've owned 3 Pebbles and developed apps for them for 2 years before switching to the Apple Watch and let me tell you: The current Apple Watch, in its laughable state, is light years ahead of any Pebble. You people make me laugh. A round smart watch is not a good idea functionally. Be honest, if it were round you'd consider buying one and then stop yourself to complain about something else.